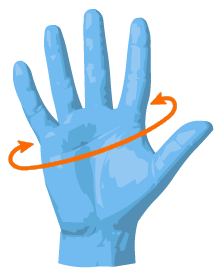 Measure your dominant hand around the fullest part of the hand, excluding thumb. Always measure your dominant hand. Compare these measurements with the chart above. If you are in between sizes, go with the larger size for the best fit.